Photo thermal therapy, in the same way that magnetic hyperthermia, requires an agent that interacts with the light. 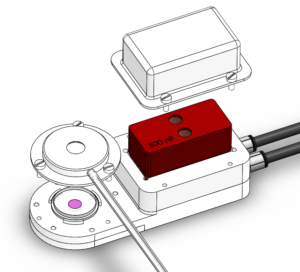 The radiation used for exciting the photothermic materials is the near-infrared (NIR) light range (from 650 nm to 1024 nm). Skin, tissues, and hemoglobin present minimal absorbance at the NIR range, especially for radiation with wavelengths ranging from 650 nm to 900 nm. Image 1. Classification of photothermal agents. Image taken from . hybrid nanoparticles to improve the heating efficiency by combination of magnetic and photo thermal treatments. Nowadays, the interest in the discovery of new hybrid nanoparticles is increasing too, providing the opportunity to perform a combined hyperthermia treatment based on the magnetic and photonic properties. As is well known, these particles should have good biocompatibility and be chemically stable to be used as nanoheaters in biomedical applications. Synthesis processes allowed optimising their features (size, stability…) for heating performance separately, before they were hybridised. Great efforts are on-going to synthesize novel multifunctional theragnostic nanoplatform to combine nano‐magnetic hyperthermia and nano‐photothermal therapy increasing the effect. Image 2. Scheme showing the combination of nano-magnetic and nano-photothermal therapies using magneto-plasmonic nanoparticles as nanoheaters. Iron oxide and gold-based magneto-plasmonic nanostructures exhibit remarkable optical and magnetic properties originating from their two different components. Depending on morphology, such as spherical and non-spherical or core-satellite and core-shell, may be used for different applications. It is attractive when MNPs are coating with another material such as gold, since it could help to stabilise more efficiently in corrosive biological conditions and improve the functionalization via Au-S chemistry. Although, incomplete coating may alter their magnetic properties. Woodard et al. described the impact of a silica-gold coating showing that silica intercalated between iron oxide crystallites preserved the magnetic properties while enabling formation of a continuous gold shell. Magnetic heating properties were consistent comparing with the original iron oxide core, but enhancing the X-ray contrast for imaging and laser heating. Lu et al. has also reported the tumor growth suppression using Fe3O4@Au-C225 composite-targeted MNPs-mediated combined hyperthermia (MH+NIR) modifying the inhibitory and apoptotic rates compared with both therapies separately. Gold-based compounds are one of the most employed as has been described below. However, magnetic nanoparticles are also a good alternative for use as a photothermal agent in the treatment of tumours. Such Espinosa et al. recently reported promising results of magneto-photo thermal approach, choosing iron oxide nanotubes improving their efficiency using only magnetic hyperthermia. They compared to both an alternating magnetic field and near-infrared laser irradiation (808 nm), either individually or jointly. The obtained results in solid tumors in vivo, showing that single-mode treatments (magnetic or laser hyperthermia) reduced the tumor growth, while combined-mode resulted in complete tumor regression. The development of new theragnostic nanoplatforms are continuously in progress with their own promises and advantages, but suffer from some weaknesses. Consequently, the way to develop a clinical formulation to combined therapies requires the optimisation of physic-chemical properties to maximise their potential as nanoheaters. Espinosa, A., et al., Duality of Iron Oxide Nanoparticles in Cancer Therapy: Amplification of Heating Efficiency by Magnetic Hyperthermia and Photothermal Bimodal Treatment. ACS Nano, 2016. 10(2): p. 2436-2446. Estelrich, J. and M. Busquets, Iron Oxide Nanoparticles in Photothermal Therapy. Molecules, 2018. 23(7): p. 1567. Ángeles-Pascual, A., et al., Structure, magnetic and cytotoxic behaviour of solvothermally grown Fe3O4@Au core-shell nanoparticles. Materials Characterization, 2018. 142: p. 237-244. Ovejero, J.G., et al., Hybrid nanoparticles for magnetic and plasmonic hyperthermia. Physical Chemistry Chemical Physics, 2018. Yan, H., et al., “All-in-One” Nanoparticles for Trimodality Imaging-Guided Intracellular Photo-magnetic Hyperthermia Therapy under Intravenous Administration. Advanced Functional Materials, 2018. 28(9): p. 1705710. Nguyen, T., F. Mammeri, and S. Ammar, Iron Oxide and Gold Based Magneto-Plasmonic Nanostructures for Medical Applications: A Review. Nanomaterials, 2018. 8(3): p. 149. Xu, Z., Y. Hou, and S. Sun, Magnetic Core/Shell Fe3O4/Au and Fe3O4/Au/Ag Nanoparticles with Tunable Plasmonic Properties. Journal of the American Chemical Society, 2007. 129(28): p. 8698-8699. Woodard, L.E., et al., Nanoparticle architecture preserves magnetic properties during coating to enable robust multi-modal functionality. Scientific Reports, 2018. 8(1): p. 12706. 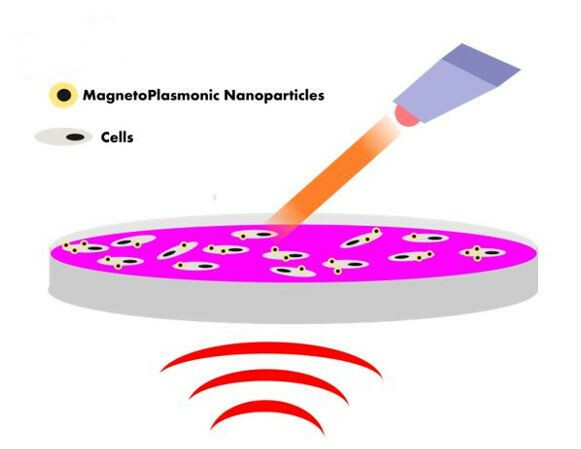 Lu, Q., et al., Fe(3)O(4)@Au composite magnetic nanoparticles modified with cetuximab for targeted magneto-photothermal therapy of glioma cells. International Journal of Nanomedicine, 2018. 13: p. 2491-2505. 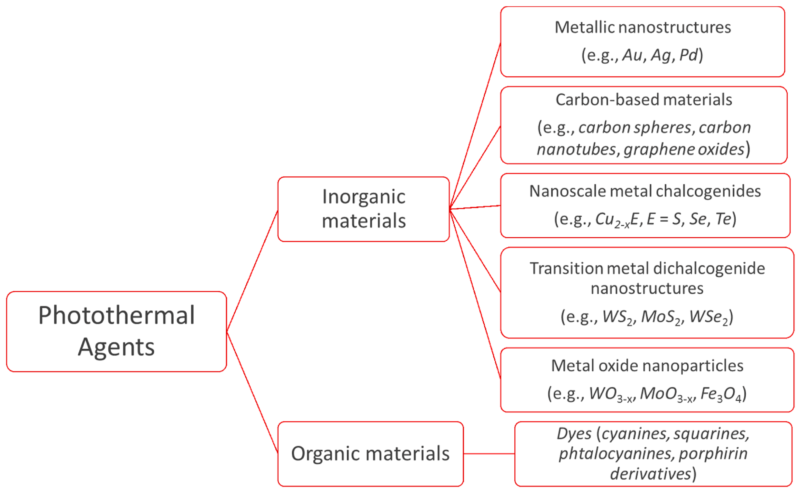 Wang, L.-S., M.-C. Chuang, and J.-a.A. Ho, Nanotheranostics – a review of recent publications. International Journal of Nanomedicine, 2012. 7: p. 4679-4695. YOU MIGHT ALSO FIND INTERESTING THIS POST!